Music periodicals have a patchy history in New Zealand; very few last more than a year. There are a number of reasons for this, which mostly come down to the need to rely on volunteers and a lack of financial stability for the production of a magazine. 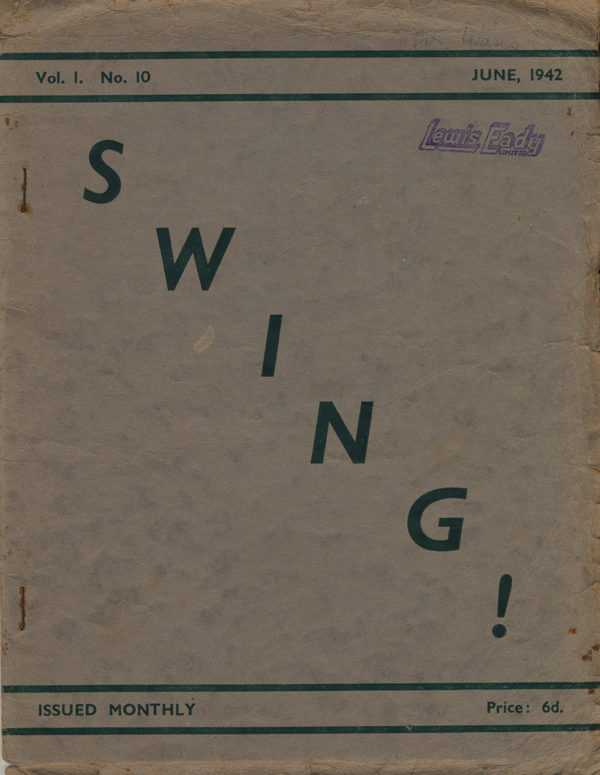 This article focuses on two jazz periodicals from the 1940s, Swing! 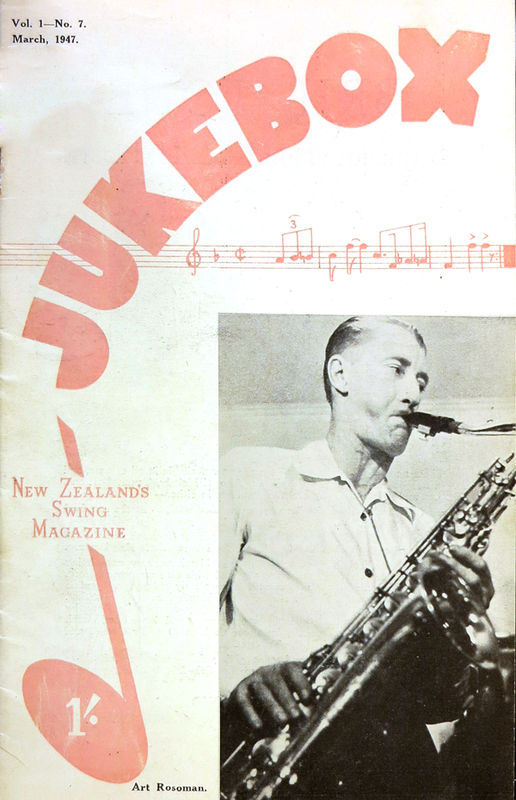 and Jukebox: New Zealand’s Swing Magazine, both created and run by jazz fans for the jazz community. 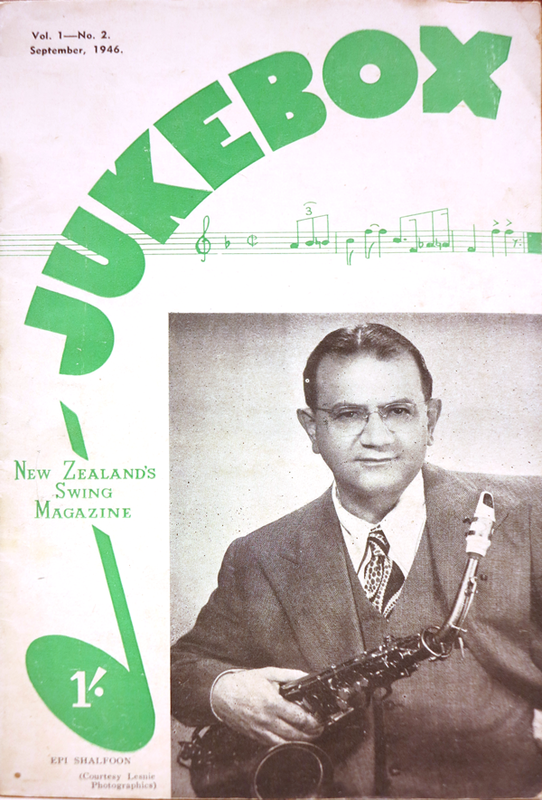 During World War II, swing fans in Wellington had attempted to produce what was New Zealand's first jazz periodical. Entitled Swing!, the publication was entirely organised and produced by fans. The quality of the production was enthusiastic, but amateur. However, as the editor stated on several occasions Swing! was never meant to be a commercial venture. The majority of the content was record reviews of American (and occasionally English) bands, but there were also reports on jam sessions and articles on topics such as how to start collecting jazz records. Unfortunately for swing fans, its publication run was barely a year, lasting from September 1941 to August 1942. The short run was directly related to effects of the war: printing and distribution became difficult, and contributors were lost when they were called up for military service. Despite the short run, the popularity of Swing! gave some indication that there was an audience for a locally produced swing magazine. It was the example of Swing! 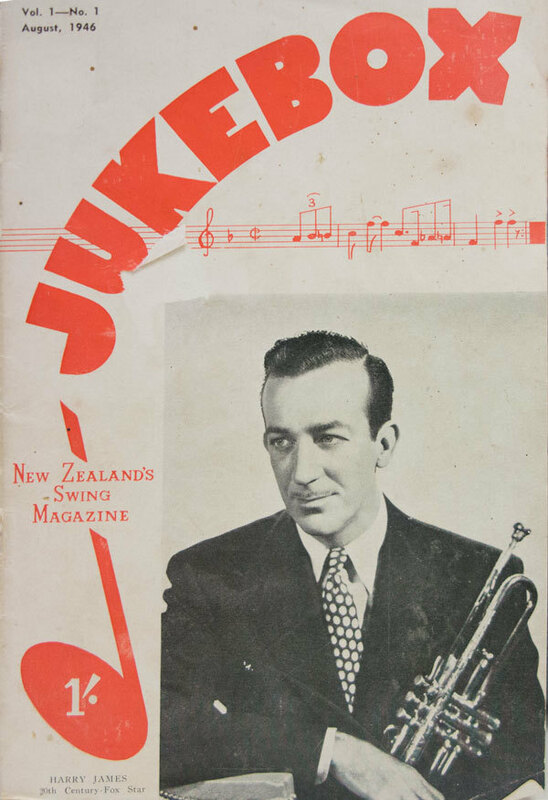 that gave Auckland fans the impetus to publish New Zealand's second jazz publication, Jukebox: New Zealand's Swing Magazine, in 1946. Jukebox was similar to Swing! in that it was not a profit–making venture, however, it was a magazine that was sold in newsagents and music stores. Where Jukebox differed from Swing! in terms of production was that it was a far more professionally produced magazine. In the first issue dated August 1946 the editor, Ernest J. Wansbone, stated that the publication staff had two main aims for the magazine. The first was to promote and critique local jazz talent, with the intent that any criticism of local musicians would be both constructive and fair, and based on the highest musical standards, rather than personal stylistic preferences. The second aim was to embrace all styles of jazz "from the new Woody Herman Band to Eddie Condon Dixieland Groups." The publication staff remained committed to these aims throughout the publication run of Jukebox, with the majority of its content being reports of local jazz activities, across all different styles of jazz. Local content focused primarily on jazz activities in Auckland, Wellington, and Christchurch, but frequently mentioned other smaller towns. Many local items were reviews of gigs, and the reviewing staff appeared to be scrupulously fair in their criticism. 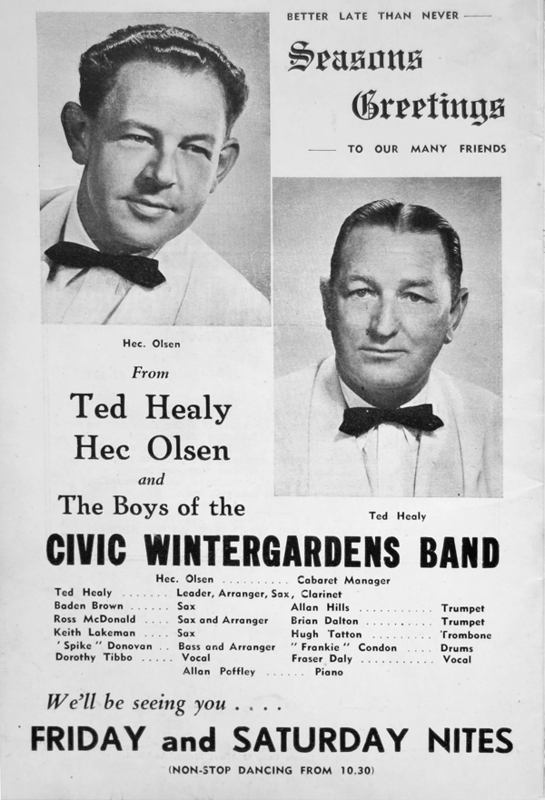 For example in the review of Ted Croad's band at the Orange Coronation Ballroom, Auckland, the reviewers praised the individual abilities of many of the musicians, but lamented the dearth of modern arrangements. This could be remedied if: "the Croad Band adapted itself in accordance with the spirit of the younger local musicians, who undoubtedly have the ability and who know how to phrase dance music the correct way." In addition to reviews, and the content about who was playing with which band, and which band was playing where, Jukebox also published profiles of prominent local musicians and jazz fans/advocates. These profiles ranged from light examinations on a person's jazz activities, to in-depth histories. The profiles made observations on how musicians and fans came to be interested in jazz, which artists influenced their performing or collecting activities, and how they began participating in the local scene. Additionally, these profiles gave insights into the relationships between musicians and fans and the networking that occurred on the New Zealand scene, and between New Zealanders and fans and musicians in other countries. Jukebox also had regular reports on the formation and activities of swing clubs around the country. These reports included detailed accounts of the club's latest meeting, or jam session, but also of fan events such as the official jam sessions and events that involved the general public, such as dances. The club reports demonstrated the breadth of activities that the swing clubs were involved in, and how they supported the local jazz scene. The publication run of Jukebox suddenly ceased in April 1947. What happened is unknown, but the editor of Wellington Swing Club's newsletter, Swing Session, stated in the October 1947 issue that a sudden drop in sales precipitated the cessation. The editor laid blame on the number of self-proclaimed swing fans who were "lethargic" in their support of the New Zealand swing community. Further, the editor stated that a local swing magazine would never be successful until swing fans actively supported it. At the end of the editorial Swing Session's editor stated that true hot music enthusiasts "will be the poorer for its demise." Though vitriolic in tone, the editor of Swing Session made an important point about publications such as Jukebox requiring a high level of fan support to continue publishing. Jukebox, like Swing! before it, was never intended to be a commercial venture. The small amount of advertising paid for basic printing and distribution costs, but the staff were all volunteers who contributed both time and money towards the publication of the magazine. Without fans consistently purchasing or subscribing to Jukebox, it had no chance of success, and as was noted, the fans that did support it were not numerous enough to assist its continuation. Also noted was the fact that fans were the poorer for the loss as this was the only local music publication devoted to jazz, which helped connect jazz communities in different regions together. 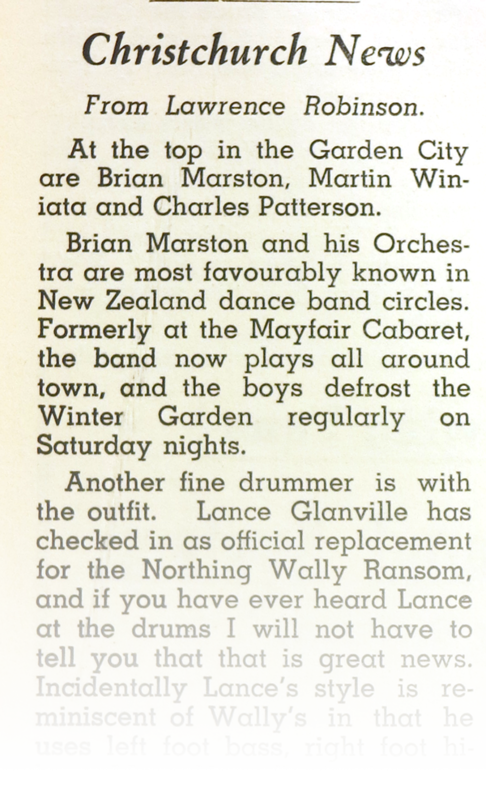 There was a curious dichotomy in the jazz fandom in New Zealand during the 1940s. There were large numbers of people involved in the fan clubs, but they were unwilling to support an aspect of local jazz such as Jukebox. The editor of Swing Session believed that this was due to people joining clubs because it was fashionable rather than being true fans of the music. When the novelty wore off, so did their enthusiasm for swing and other forms of jazz. Alternatively these less-than-devoted fans of swing may have preferred the commercial form of jazz, which was looked down on by swing aficionados, and this may have also lessened their enthusiasm. A further possibility is that some of these fans were devotees of American or British swing, and for whatever reason (perhaps a belief that New Zealand jazz was not good enough) dismissed the swing that was being performed in New Zealand. Swing Session's editor noted that out of the 240 people that made up the membership list of the Wellington Swing Club, only about 80 fans would attend all, or almost all, of the club meetings. If this type of behaviour was indicative of the rest of the country's swing clubs (with less than half of the membership regularly attending), it is unsurprising that a local jazz publication would be unable to flourish. 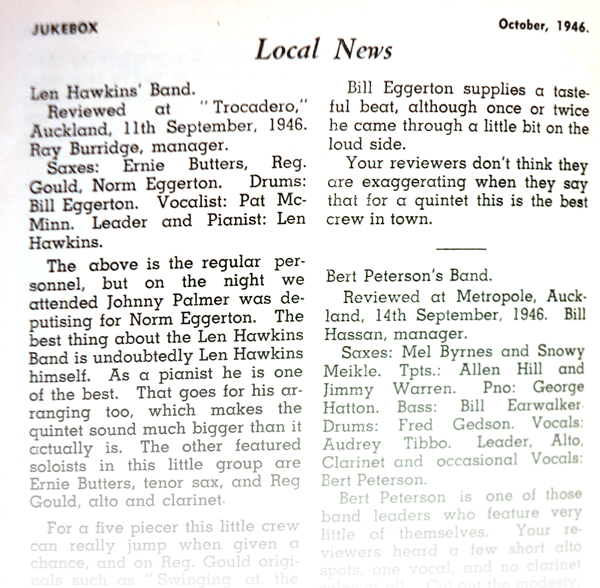 While a sad indictment on the wider jazz fandom, the editorial in Swing Session regarding the demise of Jukebox was an accurate assessment on music periodical publication in New Zealand. 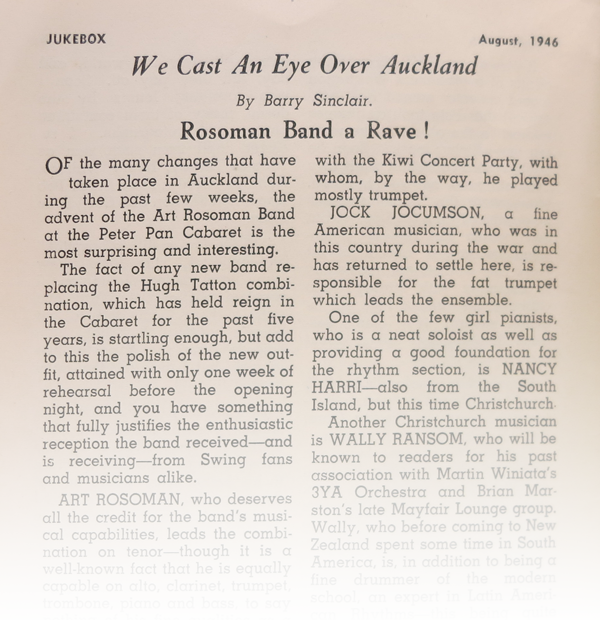 New Zealand simply did not have a large enough, and dedicated enough, audience of jazz fans to sustain a jazz periodical. The lack of support may have, in part, come from the lethargy that was noted by the editor of Swing Session – New Zealand fans were essentially lazy in appreciating local aspects of their fandom. Related to the lack of local support is also the fact that there were a number of excellent international publications readily available for subscription or purchase in New Zealand, which discussed music across the occidental world. For New Zealand related news there were the Australian publications Australian Music Maker and Dance Band News, Tempo, and the Australian Jazz Quarterly all of which featured columns devoted to New Zealand news. There were also American (Downbeat) and British (Melody Maker and Gramophone) publications that were regularly imported to New Zealand. The choice between international, professional publications and local, less­ professional ones may have persuaded fans to adhere to the larger international publications because their visual presentation gave an aura of authority on the subject.